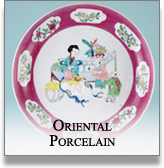 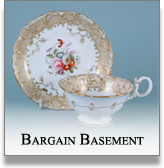 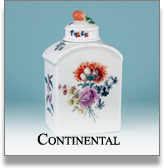 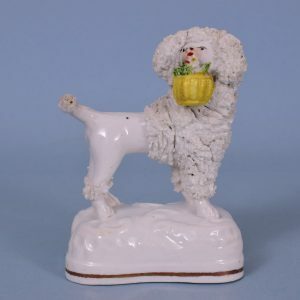 Staffordshire Porcelain Poodle Carrying a Basket. 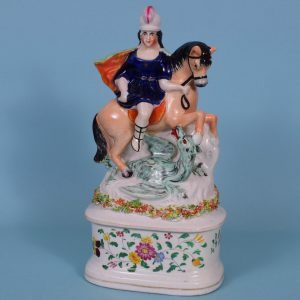 Victorian Staffordshire Figure of St George & Dragon, with box base. 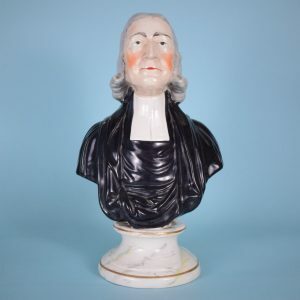 Victorian Staffordshire Large Bust of Rev John Wesley. 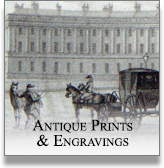 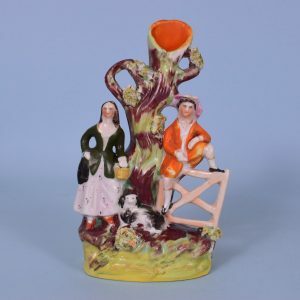 Victorian Staffordshire Spill Holder, Boy & Girl by Gate. 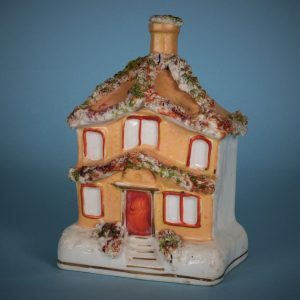 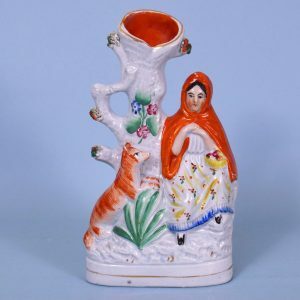 Victorian Staffordshire Little Red Riding Hood Spill Holder. 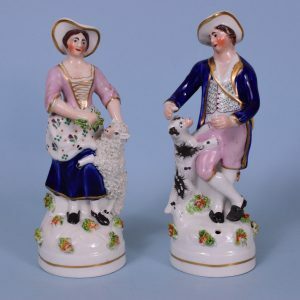 Pair of Staffordshire Porcelain Figures of Shepherd & Shepherdess. 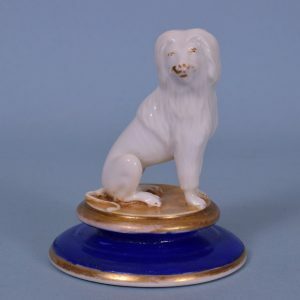 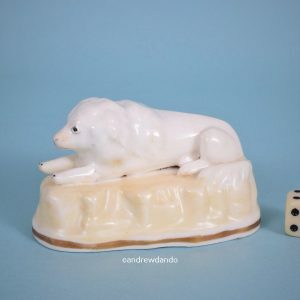 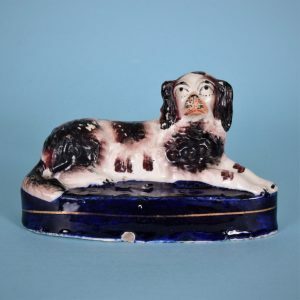 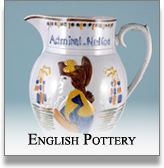 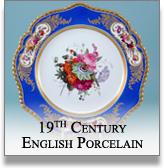 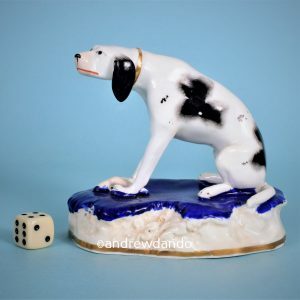 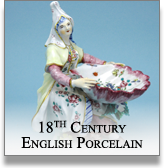 English Porcelain Model of a Dog on a Circular Base. 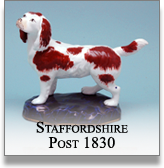 Staffordshire Dogs on Table, Pen-Holder. 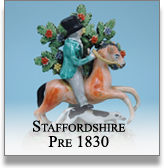 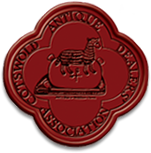 Staffordshire Small Figure, Man & Dog with Kennel. 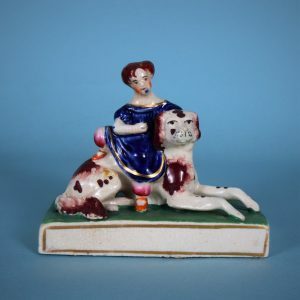 Staffordshire Figure of a Girl with a Dog. 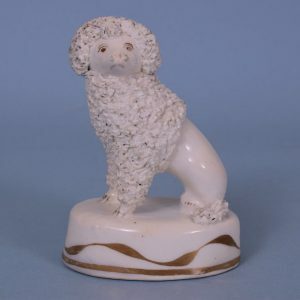 Staffordshire Model of a Spaniel.